Omaha Steaks is a meat delivery company with a long tradition. It was founded way back in 1917 and it was first named Table Supply Meat Company. By the 1940s, its steaks became famous and they were being served on cross-country trains to the delight of the passengers. In the 1950s, it revolutionized the way meat was sold and marketed by placing ads in magazines, advertising via mail flyers, and sending meat via mail. In the year of 1966, it got the name by which it is known today: Omaha Steaks. Nowadays, the company ships hundreds of steak products, desserts, and wines throughout North America. It is known for the superior quality of its products and its excellent customer service. Even though the company ships 14 million pounds of beef per year, every pound is still hand-crafted in-house. Discover its opulent selection of meats, dishes, and wines, explore its pricing, and find out how you can order its famous products in this detailed Omaha Steaks review. With Omaha Steaks, the ordering process is perfectly straightforward. No subscription is required, you can order whenever you wish, and you can pick anything you like from its online shop. There is no minimum order, which means that you can order as much or as little food as you need. The options before you include beef steaks, other meats, BBQ items, seafood, meals, starters, sides, desserts, and wine. Each of these categories is divided into numerous sections to aid you in your search for the perfect cut, dish, treat or bottle. You can purchase items individually or in money-saving combos. The company also offers an impressive selection of personal and business gifts for various occasions. You can purchase gift packs and baskets, gift cards or gift plans with monthly, bi-monthly or quarterly deliveries. We will explore all personal shopping and gift options in greater detail in the following sections of this Omaha Steaks review. Once you select the items you wish to purchase and place your order, you get a confirmation email. You can start tracking your order online an hour after you have placed it. If you are having any troubles whatsoever, you can reach out to the friendly customer support via phone (toll-free) or email. Omaha Steaks has been around for more than 100 years, which is more than impressive, especially considering that although popular in general, meat delivery services tend to vanish as quickly as they enter the market. It takes a lot to keep up with the competition and Omaha Steaks seems to have what it takes to stay at the very top regardless of the changing market trends. What has allowed this company to maintain its high market position for over a century is its dedication to a fully personal approach that makes it one of America’s most trusted family-owned butcheries. Currently run by the fifth generation of the family that started it all, it may sell millions of pounds of beef alone every year, but every meat product it delivers is aged to perfection and hand-cut by its team of experienced butchers. Its products are the exact opposite of the mass-produced, stale, and flavorless items that sit on the shelves of supermarkets across the country. Its focus on premium-quality, grain-fed, naturally raised, naturally aged, and hand-cut meat is what keeps its customers coming back for more. As a thank-you to its loyal patrons, the company has launched its Steaklover rewards program. By purchasing its products, watching its videos, and referring friends, you earn reward points that you can exchange for free food, that is, Omaha Steaks’ most popular products. It is also important to mention that by shopping at Omaha Steaks, you do not only get to earn great rewards, but you also get to help those in need. The company has partnered with numerous charitable organizations and regularly helps them reach their fundraising goals. You can help by purchasing select Omaha Steaks products through the company’s Steaks For Good program. As much as 10% of the value of your purchase goes directly to the organization of your choice. As mentioned previously in this Omaha Steaks review, the company’s offer is divided into 8 main categories, plus gift options. We will now focus on each of them individually and see what you can find in each section of the company’s online shop. 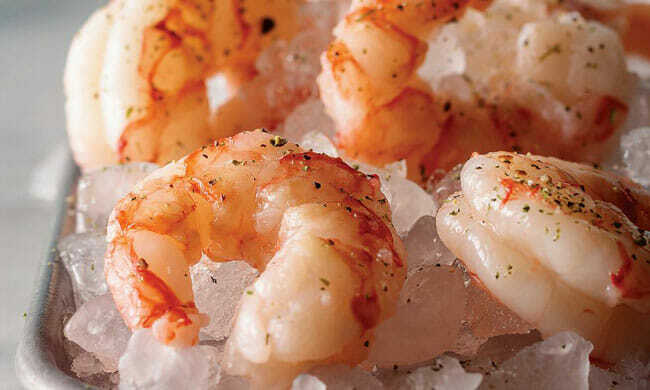 The categories include Steaks, Meats, BBQ, Seafood, Meals, Starters & Sides, Desserts, and Wine. In the Steaks section, you can find dozens of delicious beef cuts, including filet mignons, strip steaks, top sirloins, ribeyes, t-bones, porterhouses, flank steaks, tri-tip steaks, bistro steaks, prime rib, skewers, and tips. You can also get steak entrées, surf & turf combos, specialty and private reserve steaks, and complete steak meals, as well as seasonings, rubs, sauces, and other add-ons that perfectly complement the steaks. We were delighted to see that you can purchase delicious dog treats as well, so your best friend can enjoy a great meal, too. The section mostly includes grain-fed meat, but there is a subsection dedicated to grass-fed beef. The Meats section was created for people who love everything from chicken to bison. It features about a dozen subsections, including gourmet burgers, franks, brats, sausages, bison, veal, lamb, roasts, poultry, pork, hams, ribs, bacon, steak snacks, beef jerky, and more. You can purchase just meat or opt for entrées, complete meals, and various curated toppers. The BBQ category can be divided into 2 main subsections, including smoker-ready and ready-to-eat items. You can opt for gameday assortments, steaks, gourmet burgers, franks, brats, sausages, poultry, seafood or pork, all perfect for when you are in the barbecue mood. It is worth noting that this section also includes BBQ tools and accessories, so you do not have to go elsewhere to get everything you need for a great BBQ party. The Seafood section includes both fish and shellfish. In the fish subsection, you can find salmon, cod, sole, tuna, halibut, tilapia, seabass, Mahi Mahi, swordfish, snapper, haddock, caviar, and more. As far as shellfish goes, you can opt for lobster, shrimp, crab, scallops, clams, mussels, and oyster, all of premium quality, responsibly sourced, and frozen fresh. If you want to save time on prep, you can give seafood entrées and meals a try. The Meals section is huge and you can filter the items by dozens of criteria, from prep type and main protein source to special dietary needs and number of servings. You can opt for steak, chop, seafood, poultry, roast, pasta, burger, rib, sausage, veggie meals, and many others, pick prepared, ready-to-cook or raw meals, cook for 2, 4 or 18 people, and try any cooking method, from pan frying to smoking. The meals come in single-course and multi-course variations, so you can get something tasty to enjoy on workdays or something rich for your dinner parties and special occasions. In the Starters & Sides section, you can find beef, seafood, and specialty appetizers, appetizer combos, charcuterie, soups, stews, veggie sides, potato sides, specialty sides, and delicious toppers, including mushrooms and blue cheese, smoky bacon jam, Dijon mustard ajoli, and other delectable extras that can make any meal shine. Desserts are not as numerous as other items, but there are at least 20 decadent options at all times. You can opt for cakes, cheesecakes, pies, tarts, and specialty desserts like crème brulee and decide whether you want to get just a piece or treat yourself to a whole cake. If you love good wine, you can pair your meals with bottles of your favorite reds, whites, and sparkling wines available straight through the Omaha Steaks online shop. You can purchase wines individually or in assorted packs and baskets. Finally, let us say a word or two about the gift options. You can purchase gift foods and wines, gift cards or gift plans. Gift foods and wines are sorted by occasion, recipient, and gift type. You can opt for wedding, birthday, congratulations or anniversary gifts, get perfect presents for him or her, mom or dad, student or associate, or choose from gift baskets, steaks, desserts, slow cooker meals, dog treats, and more. There is a special section dedicated to business gifts, ranging from employee appreciation gifts to custom business gift programs. If you want to get a gift that keeps on giving, you can purchase the monthly, bi-monthly or quarterly gift box including hand-picked steaks, seafood, meals or grilling items. If you do not know what to get, a gift card is always a good choice, especially since you can freely decide on the card value. As it is usually the case with services that offer hundreds of products, it is difficult to talk about pricing. However, we will do our best to give you a sense of what you can expect price-wise. Steaks start under $1 per ounce, but the prices can get much higher for private reserve and other luxurious items. Other meats and BBQ items can get as low as $1.50 per 5-ounce package, depending on the meat type you opt for. Fish filets start at $3.78 per 5-ounce package and they are sold in packages ranging from 4.5 ounces to 2.5 pounds. As expected, shellfish is more expensive, starting at about $1 per ounce. Meals normally start at $2.50 per serving for single-course meals. Multi-course meals can cost upward of $15 per person. They are sold in packages of various sizes, going up to 18 servings per pack. Appetizers and sides start at about $1 per piece and you can purchase them individually, in packs or by the pound. The price per serving is lower if you opt for greater quantities. 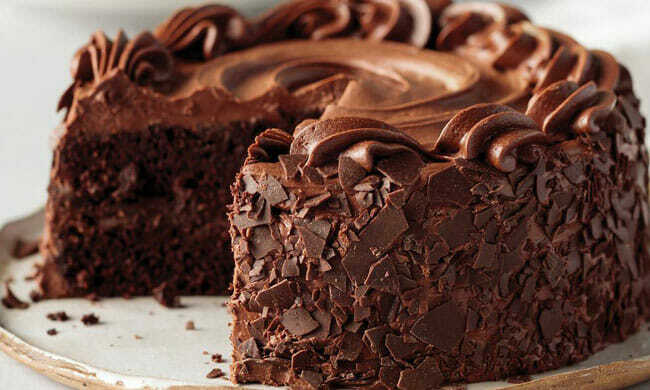 Desserts can cost as little as $2 per piece and the prices rarely exceed $30 for a whole cake. Individual wines start at about $25, but you can pay significantly less per bottle if you opt for a wine gift basket or gift pack. All gifts start under $50, with the exception of gift plans. The most affordable gift plans cost $69.99 per month. Shipping is not free, except on select items like combos and wines. The costs depend on the value of your shipment and your location. Within the continental US, standard shipping costs $17.99 for orders up to $69.99. Orders worth up to $129.99 come with a $19.99 shipping fee and all orders worth more than $129.99 come with a $21.99 shipping fee. Additional shipping fees apply to boxes sent to Hawaii and Alaska (add $39.99), Puerto Rico (add $39), Canada (add $42.99), and the US Virgin Islands (add $125). If you opt for faster shipping options, there is an extra shipping surcharge of $19.99 – $49.99, depending on the option you choose. As a company that stands behind its products, Omaha Steaks offers a 100% satisfaction guarantee. If you are not perfectly happy with your shipment, you can always get a replacement or a refund, whichever suits you better. Omaha Steaks does great in terms of geographical coverage. It delivers throughout the United States, Canada, Puerto Rico, and the US Virgin Islands. Shipping options include standard shipping (up to 7 to 10 business days), Express (2-3 business days), Rush (1-2 business days), and Saturday Rush (1-2 business days). The company does not ship to PO boxes. 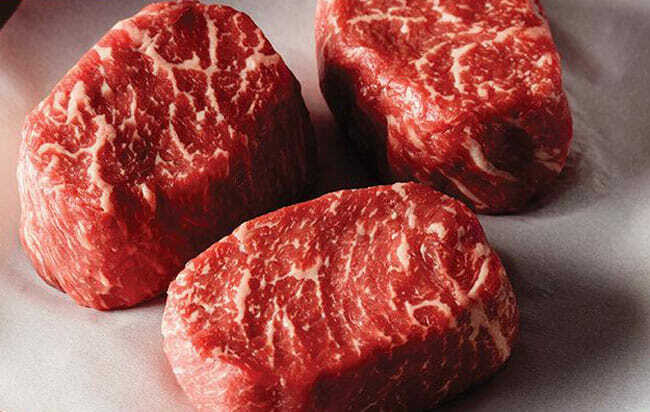 To make sure Omaha Steaks meets all your standards and expectations, it is important to know its biggest advantages and disadvantages. With a short overview of its pros and cons, you can easily decide if Omaha Steaks is the right company for you. Omaha Steaks has everything you need for the ultimate home dining experience, especially if you are a meat lover. From budget to luxurious cuts of all kinds of meat to ready-to-cook and ready-to-eat meals, sides, and desserts, you can get it all at the company’s online shop. Plus, you can get your hands on exclusive wines at good prices, purchase amazing gifts for your loved ones, and even save as you buy with the Steaklovers rewards program. Everything you purchase comes with a satisfaction guarantee, so you can get your money back in case you are not 100% happy with your order. We only wish the shipping fees were a bit lower since they significantly up the total cost of your shipments. Still, with select free shipping items and discounts on larger quantities, you can save quite a bit. All in all, given the company’s long tradition and impressive product selection, we believe that Omaha Steaks is a service every meat-loving American should try at least once. Our ratings are the result of an objective and independent evaluation of Omaha Steaks, generating the final rating that reflects the overall quality of the company. Ratings may change as the service changes. Omaha Steaks customer rating based on 2 customer reviews. Nearly forgot meat can taste this good. Just one complaint. Not sure how they set the prices but some cheap cuts should be cheaper and some expensive cuts that cost a fortune at the store are pretty affordable. Doesn’t make much sense, so you need to be careful not to overpay for the cheap stuff. About a year ago, I noticed we’ve started to eat meat less and less often, not because we don’t love it but because it’s no good. Chewy, no flavor, even with the expensive cuts. I decided to do some research and that’s how we stumbled upon Omaha Steaks. I loved that they have been around for so long so we gave them a shot. Real glad we did cause the steaks are worth every dime. Haven’t tried the meals yet but I’m guessing they’re awesome too, it’s the same meat, so maybe we’ll try them soon. 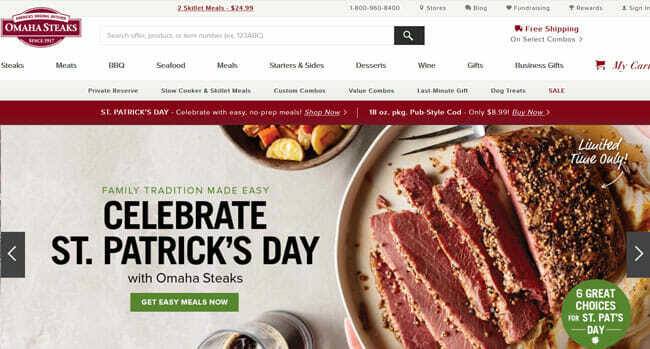 We found 0 verified Omaha Steaks discounts for April, 2019. There are no Omaha Steaks coupons or discounts right now. If you like Omaha Steaks but aren’t sure whether they are truly the ideal choice for you, you may want to take a look at our comparisons below to discover if one of their competitors is more suitable for you.